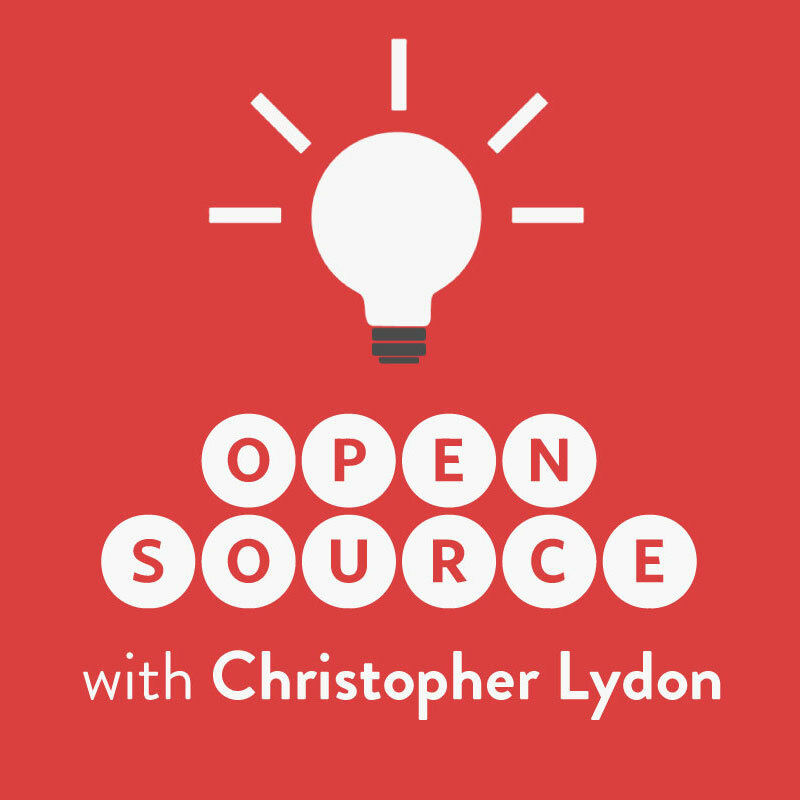 EDITOR’S NOTE: This is the second of three installments in a podcast series on American work produced in partnership with Open Source with Christopher Lydon, a weekly program on WBUR. In the final episode, we’ll consider policy solutions for working people that should be on the table in 2016. You can subscribe to the podcast on iTunes or Stitcher, or listen anytime at radioopensource.org. But we also heard Calvin Coolidge’s famous line that “the chief business of the American people is business.” Almost a century later, that’s still true. Ours remains the biggest economy in the world, and American workers remain more productive per capita than any (big) nation in the world. Listen to the full program with Barbara Ehrenreich, Astra Taylor, Andrew McAfee, and Nikil Saval. Americans spend more time working than doing anything else, and more than almost any other developed economy. A pre-crash study by the International Labor Organization found that we worked 137 hours more per year than Japanese workers, 260 more than Brits, almost 500 more than the leisure-loving French. And 86 percent of American men and 67 percent of women—sons and daughters of the union movement—work more than the union-preferred 40 hours a week. Then again, the United States is exceptional in other ways: Among OECD nations for the share of our people living in poverty (more than 14 percent, or almost 47 million people), and among almost all nations for offering, as part of the law of our land, neither paid maternal leave, nor paid sick leave, nor annual minimum paid time off. And then there are the problems we cannot quantify—or even always see: The stresses and disappointments that pile up, disproportionately upon the 35 million Americans who earn less than $10.55 an hour. With all that in mind, we asked Barbara Ehrenreich to give us a status update. 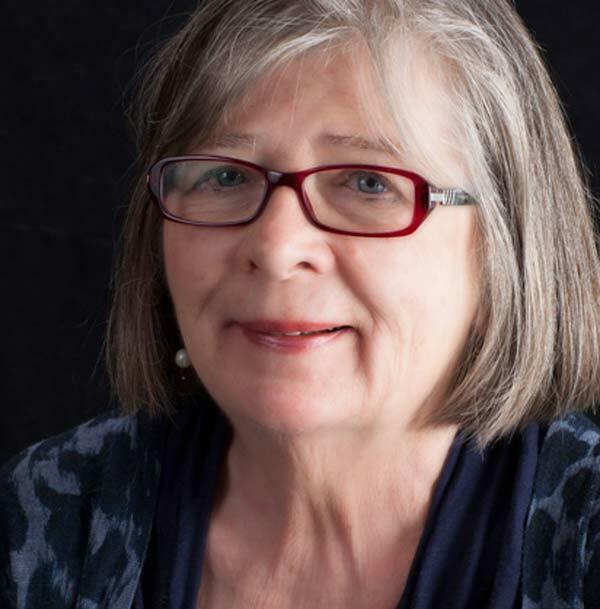 Ehrenreich dove into the hidden world of the working poor as a worker in her bestselling 2001 book, Nickel and Dimed. Her subjects and colleagues—waitresses, washers, and Walmart greeters—endured a special set of difficulties: searches by bosses, backstabbing by coworkers, drug tests, late nights, and wage theft after long hours. We’re seeing a degradation in even the notion of what a job is. Fifteen years ago I could go looking for jobs and find them pretty easily, because there was a lot of hiring going on then. And there was an expectation that a job was something like 40 hours a week in return for pay.… [That’s] gone. That may mean you have three hours of work one week, twenty hours the next week. You can’t plan your childcare—you can’t do anything—because you’re waiting for the phone call. Ehrenreich cited other symptoms in her argument that the body of the American economy is sicker now than it was fifteen years ago: 24-hour daycare centers for the precarious worker, poor folks donating plasma to stay afloat, and wage theft on the rise. Sandra Lee is a personal care attendant in Brighton, Massachusetts. 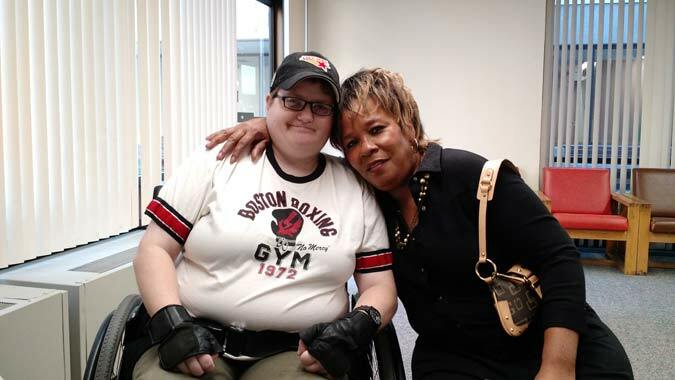 She’s seen with her “consumer,” Olivia Richard, who has paraplegia. I see Olivia every morning from 9 o’clock to whenever I’m done. I got eight daughters, so she’s like my ninth daughter.… I take care of Olivia with her bathing, from top to bottom, to rolling over, to you know what I’m talking about. And some people can’t do that. But for me, I’ve been doing this all my life. 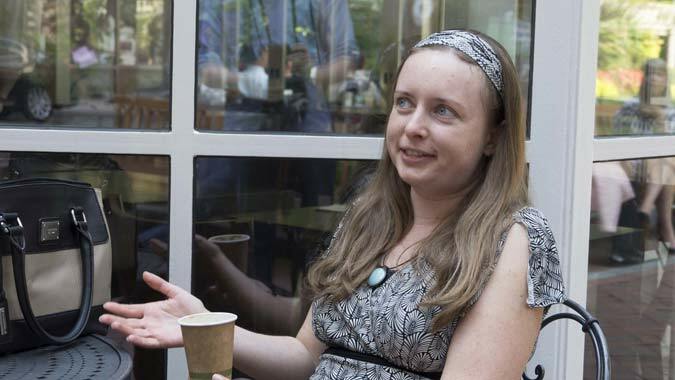 Marina is a software developer in downtown Boston. 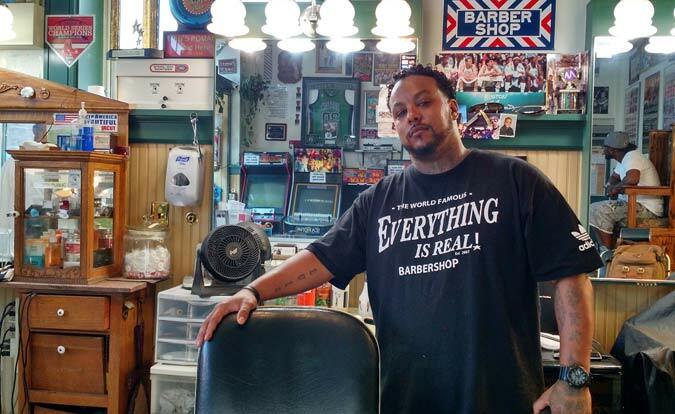 Cee is a barber at Everything is Real Barbershop in Roxbury, Massachusetts. It takes a thousand hours to be a barber. It’s not hard work, but you gotta love what you do, you know. 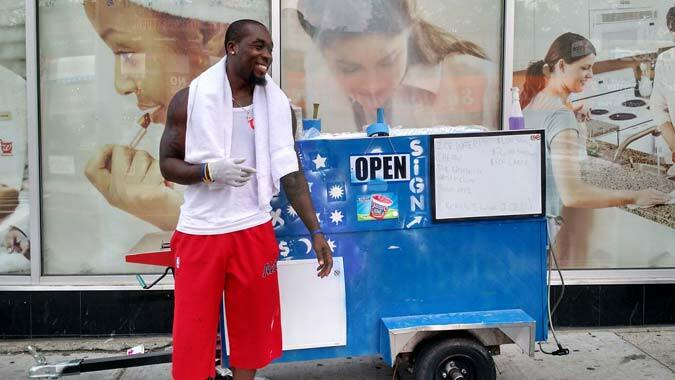 If you love what you do, it’s not hard work, you have fun doing it.… Not only are we barbers, we’re therapists. Sometimes a person comes in and they not feeling good. Maybe they got stuff on their mind, so as you cut their hair you talk to them, you try to, you know, give them some positive insight, and as you’re refining them physically, you’re also refining them mentally. Of course everything’s hard, but that doesn’t mean there’s no enjoyment in it. So it’s almost a yin-yang situation. I got five children—I take care of them all by myself. I basically play this little piano here every week: Wednesday. I’ve been playing music almost 15 years. 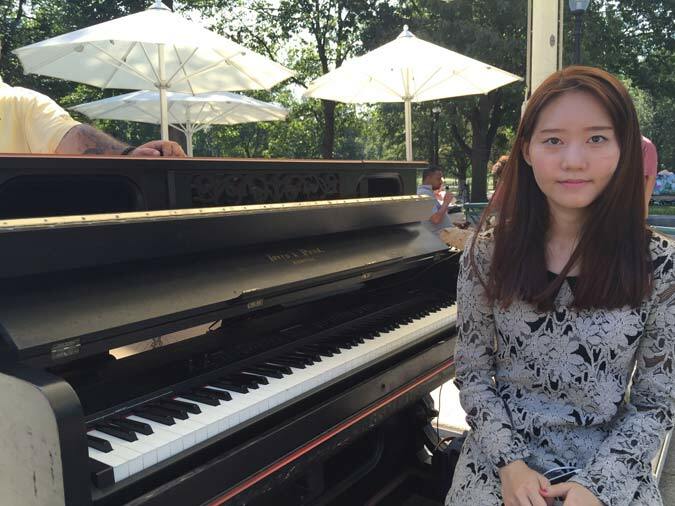 I started with classical piano and then I changed to jazz. I know in every job, it’s really hard to make money, but especially the musicians—it’s really hard. There’s a lot of musicians, so it’s like a war. 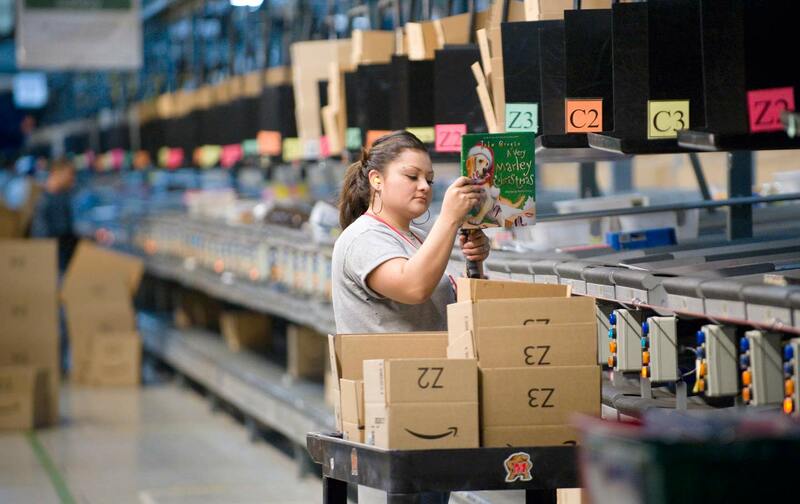 We knew, from EHRP reporting, that workers at Amazon “fulfillment centers” were underpaid and (until recently) overheated. 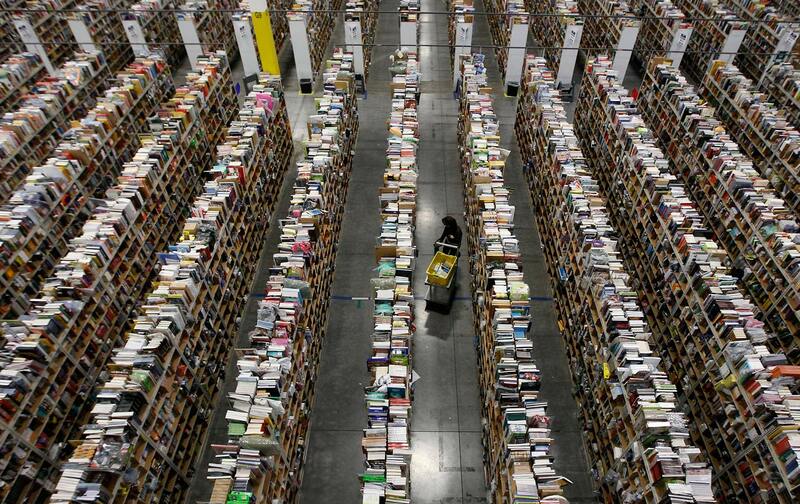 But The New York Times shocked its readers when they reported last month that the woes of the warehouse had spread to the corporate offices of Amazon, where managers are surveilled and snitched on, summoned in the middle of the night, and end up crying at their desks. Amazon, now the country’s biggest retailer, is building new offices, above, with room for 50,000 workers. We turned to Nikil Saval, editor of n + 1 and author of the wonderful social history Cubed: A Secret History of the Workplace. Saval reminded us that this isn’t news—Amazon is the office for the age of disruption, and the product of more than a century of history. His story begins with clerks on Wall Street in the age of “Bartleby, The Scrivener” (the first office worker to go on strike!) and the management theorist Frederick Taylor. There’s a long history to make the office both productive for the bosses and seductive for the workers—just as Amazon’s emphasis on efficiency contrasts with Google’s ping-pong tables and multicolored bikes. Pat TomainoTwitterPat Tomaino is a producer for Open Source and of the pilot podcast, The Campaign.